When oncologists have to pick a suitable regimen at the point of care, it is important to have access to as much information as possible. There are three major solutions (including our ‘Pandith’ in Piiker platform) in the oncology industry. Eviti and Clear Value Plus (McKesson) are the other two solutions. Eviti is now part of NantHealth. This tool helps physicians to pick a suitable regimen at the point of care. More information about this product can be found here. This is a new kid in the block. This is part of our Piiker platform. 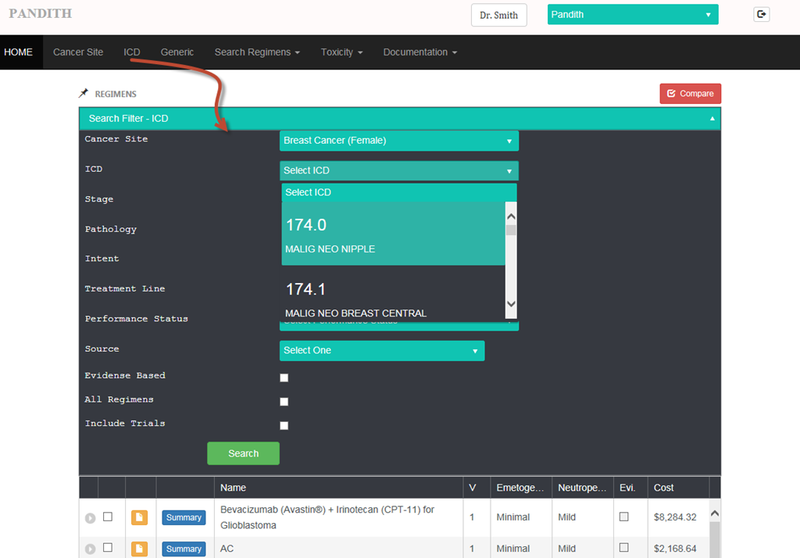 This software aims to provide unprecedented information while making the regimen selection at the point of care. 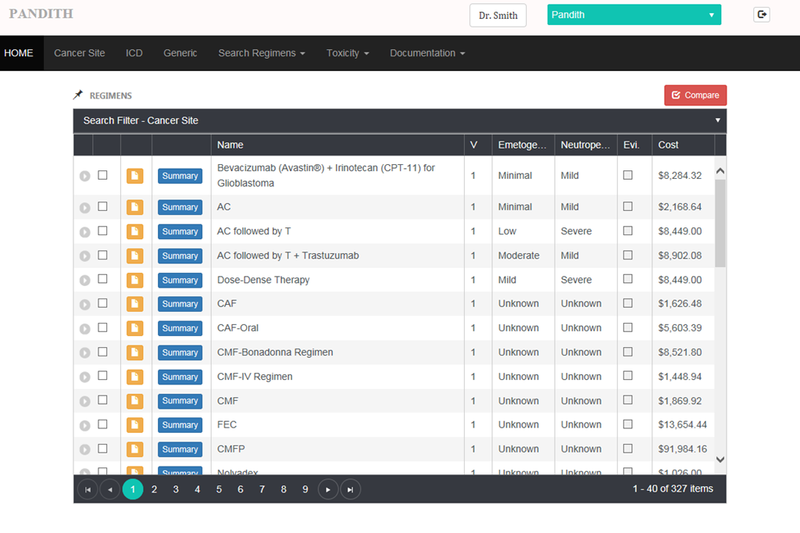 You can search for regimens based on various clinical criteria. 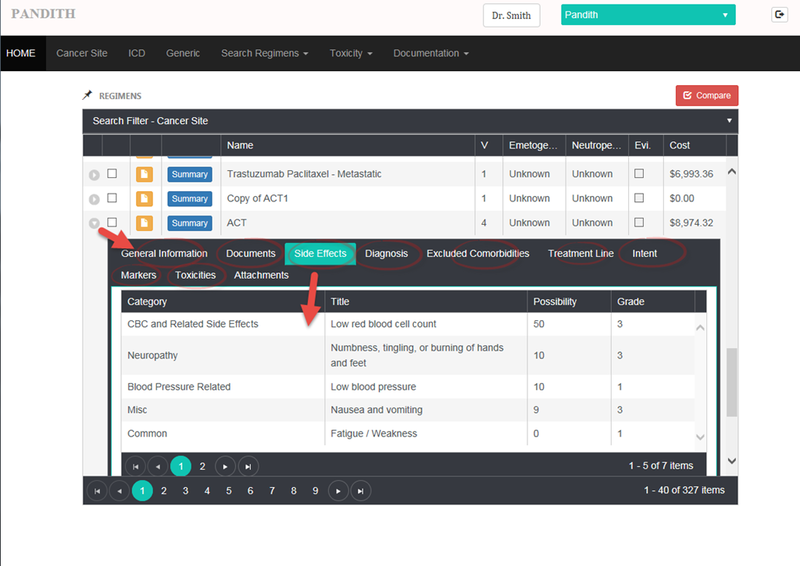 Just by expanding a row (by clicking the gray arrow), provider will have access to very useful clinical information which will aid in the decision making process. 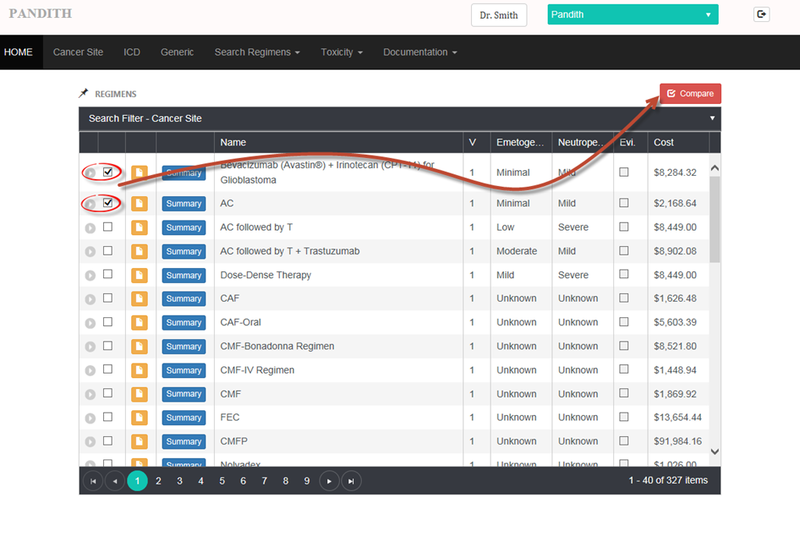 In this screen shot, you can see that all the side effects caused by this regimen are easily available to the provider. Beauty of the solution is how information is made available in a most user friendly manner. Comparing regimens side by side. The following screen shot will demonstrate the kind of user experience we are providing while working with such a complex set of information. 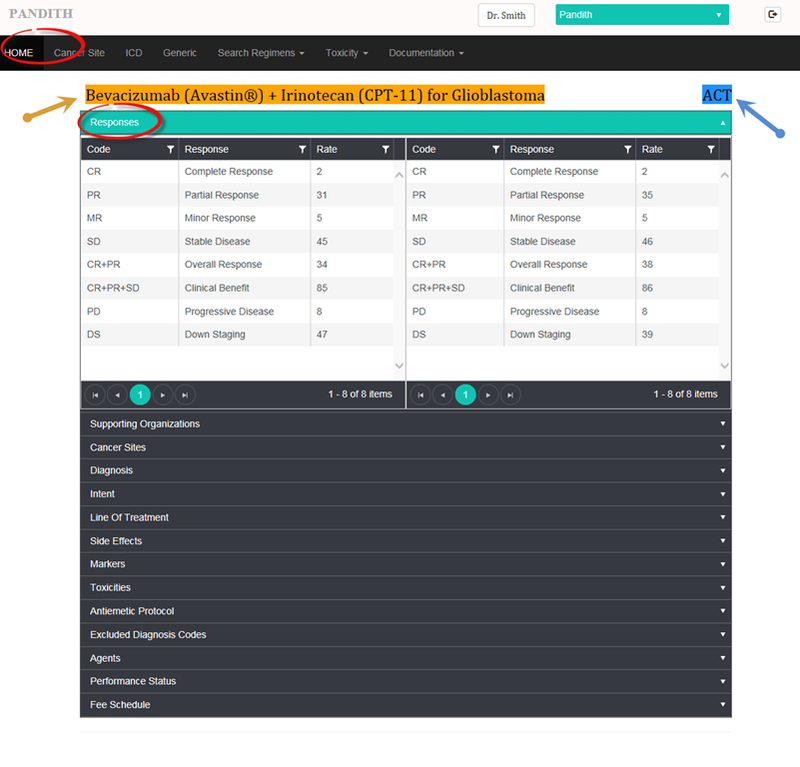 In this screen shot you can see that, provider has selected two regimens and wants to compare various details of the regimen. Our solution has many advantages. It is nicely integrated with pieces of the puzzle to provide a complete solution while not compromising the UX (user experience). Our goal is to provide the best possible tools help providers and patients in the cancer treatment process. As you can tell from these screen shots, we pay attention to every small details to make that difference.